Over 1,500 wonderful vehicles of all marques and eras descend on the NEC Classic Motor Show annually. It’s a breath-taking spectacle that attracts visitors from the length and breadth of the UK and all around the world. We love attending this show with our Scholl Concepts stand as we did this weekend; seeing many loyal customers year-on-year and helping visitors and prospective new customers who want advice and information on improving the state of their paintwork. Under the harsh lighting of the NEC exhibition halls, the lack of knowledge on how to look after and improve a vehicle’s paint condition is plain to see! Whilst I’m all for original paint not having to look perfect (in many cases the originality is what makes many classics a joy to own), the poor state of the paintwork on many of the show cars really lets them down. It’s a shame. And the visitors notice – and comment to us on the stand about the very fact. Clearly a lot of work, time and unpaid effort goes into the display vehicles of the many car clubs and their enthusiast owners in attendance – but the final, all-important stage of paintwork preparation and pampering seems to be woefully neglected. A full respray is expensive. I get that. And also takes away some of the originality of the vehicle if it’s sporting original paint. I get that, too. 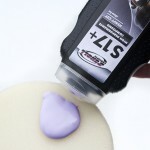 Polishing with a machine is, without doubt, the best way to correct defects in your paintwork – from eradicating everyday swirls and microscratches caused by wear and tear and washing and drying to much more serious imperfections. But a whirring rotary or dual action (DA or orbital) polishing machine can be a daunting thought for an inexperienced user. And it’s wise to be cautious. In the wrong hands a machine polisher can do more harm than good. That said, that’s what we’re there for. 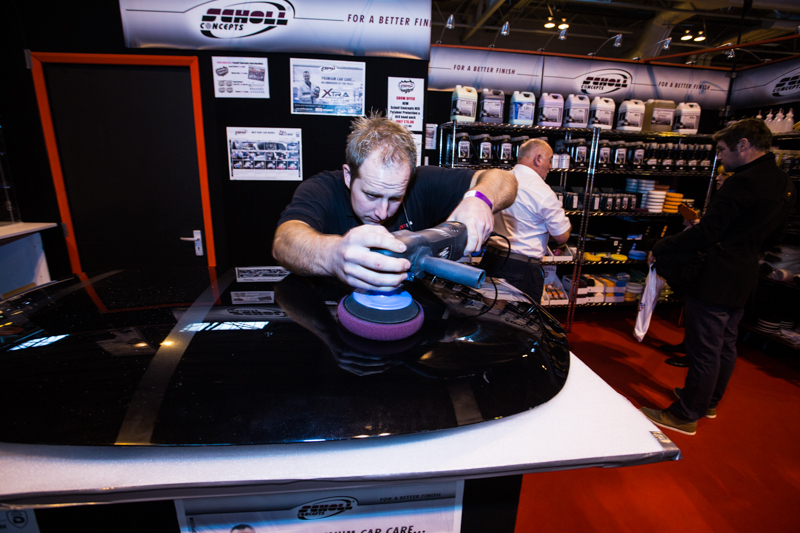 On the Scholl Concepts stand our experts have lots of advice and information to get you started – and practising on old panels before you tackle your pride and joy is one such top tip. 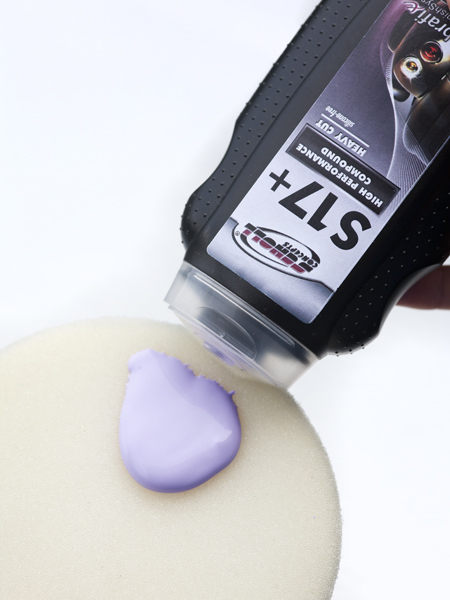 But with a Scholl Concepts White (compounding foam) Hand Puck, our trusty, high performance S17+ compound and some elbow grease, vast improvements in paint finish can also be achieved manually without a machine in sight or the fear of causing damage. Classics Monthly Magazine Editor Gary Stretton proved the point when he put S17+ and a White Hand Puck to the test on not one but two classics! Gary was delighted (despite his no doubt aching arm!) after his hand compounding restored the shine of the dull paintwork on both his Triumph 2000 and 1965 Morris Minor 1000. Proving that, with Scholl Concepts, there’s no excuse for those show cars not to sparkle in the spotlight as they deserve!